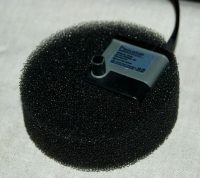 The foam filters protects the pump from cat hair & debris, reducing the need to take apart the pump for cleaning as often. A foam filter comes with every fountain except the travel fountains. Each filter lasts at least a year to two years, depending on usage and care. 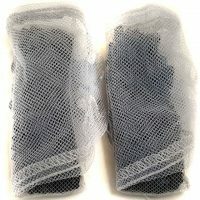 The optional carbon filters remove impurities in your water such as chlorine and odors. Each pack of two will last from 6 months to a year. 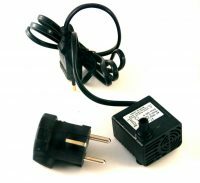 The European pump is for countries that have 220/240 voltage. Add it to your order and we will install it in your fountain. Some countries might need a simple adapter for the plug depending on your prong configuration.